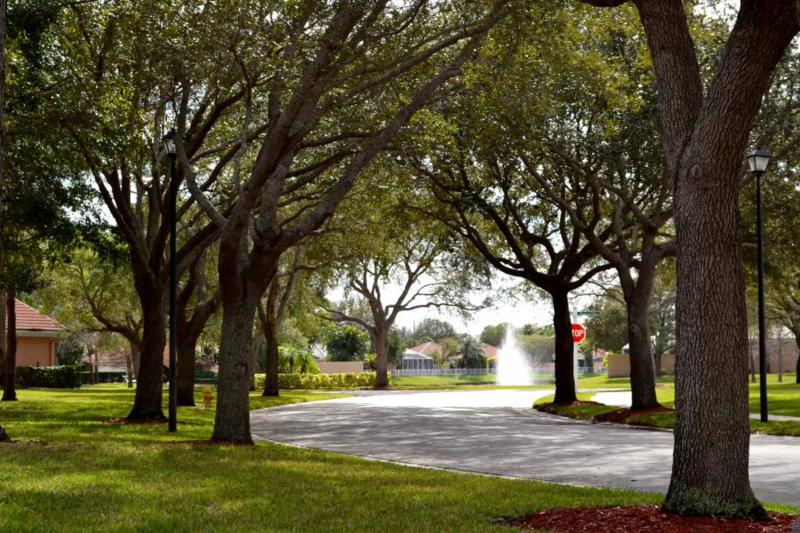 In the heart of Jupiter lies the neighborhood of Maplewood. Divosta-built houses are nestled in a serene, tree-lined location in close proximity to a scenic park, dining, shopping and A-rated schools. Constructed in the mid 1980’s, homes here typically offer 3 or 4 bedrooms. Sizes range from 1600 square feet to 2400 and are found to be affordable for this very desirable location. Beautiful CBS single story home nestled in a quiet tree-covered cul-de-sac with a 3 bedroom 2 bathroom split layout, updated kitchen, vaulted ceilings, wood floors, fenced yard, covered porch, screened pool/patio area, accordion hurricane shutters, 2 (shaded) outdoor seating areas, new central air conditioner, new garage door, newer hot water heater, low HOA, close to shopping, restaurants, schools, beaches. Excellent Jupiter schools. Welcome to the charming tree lined community of Maplewood. Located in the highly desirable Jupiter school district, and just minutes to beautiful Jupiter beach, shopping, restaurants, and I-95 & the Turnpike. This home features vaulted ceilings, a fireplace, and skylights with tons of natural light. The covered back patio with a tongue & groove ceiling overlooks the pool, making this home perfect for entertaining guests.